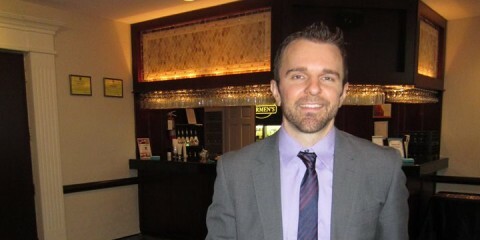 Mystic Lake Casino Hotel in Prior Lake, Minn.
It’s only been eight months since the Legacy Fighting Alliance launched from the merger of the Resurrection Fighting Alliance and Legacy Fighting Championship, but the promotion is already on its 20th event. The 20th show takes the promotion back to a usual stop on its tour, the Mystic Lake Casino in Minnesota. The show features several notable up-and-comers and a few solid veterans. Welterweights Chad Curry and Nick Barnes headline the card. The 27-year-old Curry has just one loss in 10 professional fights. 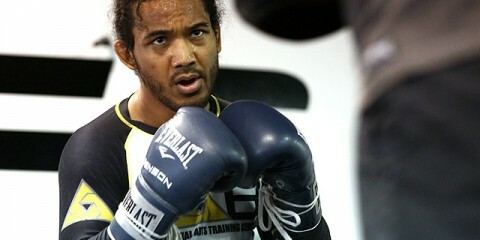 The Minnesota-based fighter joined the pro ranks in 2012 following a streak of three straight finishes as an amateur. Curry notched five knockouts, one submission via strikes and one choke submission to drive his record to 7-0. This streak included impressive finishes of veteran Alonzo Martinez and fellow prospect Hugh Pulley. 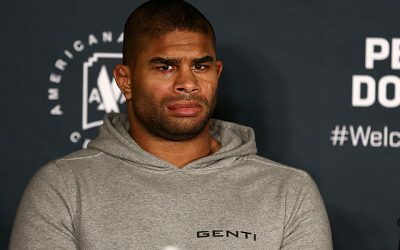 Curry’s eighth fight came under the RFA banner, but it ended in disappointment when he lasted just 89 seconds against future UFC fighter Lando Vannata. Curry bounced back with a first-round TKO of Frank Schuman with the RFA and a second-round TKO of Kyle Kurtz in his first LFA outing. The Mario Roberto Jiu-Jitsu Academy product has a background in wrestling. Barnes is probably best known for his stint on Bellator MMA’s Fight Master reality series. “The Phoenix” scored first-round submissions of Brendan Tierney and Tim Welch on the show before falling via technical knockout against Cole Williams. 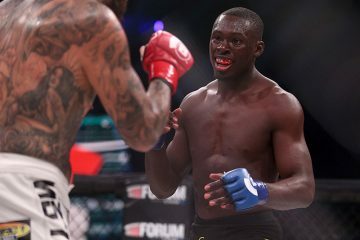 Barnes, who busted out of the gates to the tune of nine wins before suffering a submission loss to Jesse Taylor, did make one official appearance with Bellator. He fought James Terry at Bellator 147 and scored a submission win. The Und1sputed Boxing and MMA export then moved on to the RFA, where he decisioned Jose Diaz before falling to Brian Camozzi. 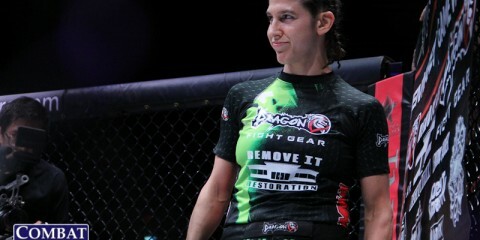 Overall, Barnes has six submission victories and three knockouts. This will be his first fight in nearly a year. Curry can’t really be faulted for his loss to Vannata. 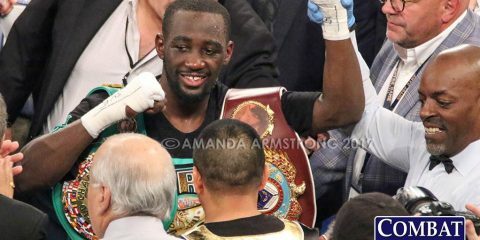 Vannata is a very unorthodox fighter who was able to find a home for a right hand that severely stunned Curry, who had been holding his own on the feet with Vannata up to that point. Curry’s stand-up is his biggest weakness, however. He tends to throw off-balance punches that could leave him exposed. He’s at his best when he’s relentlessly working for takedowns and delivering ground-and-pound. 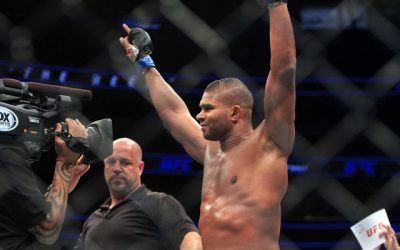 He was able to break the aforementioned Martinez through heavy clinch work and wrestling, and these attributes also assisted him in his win over Pulley. Barnes will also seek to put the fight on the ground, but even a striker like Camozzi was able to bully Barnes in the clinch and take the submission on the mat. 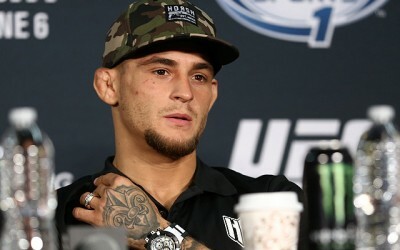 That performance could be a sign of things to come against Curry, who should be able to expand on Camozzi’s blueprint. Curry’s nickname — “Blitz” — says it all. This is a fight between two finishers. Curry has ended six fights in the first round and three in the second stanza. Curry’s only defeat also came in the first round. 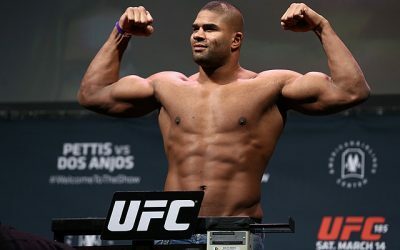 Barnes, meanwhile, has seven first-round victories and two first-round defeats. These guys are also capable of finishing fights no matter where the action goes, and each has been prone to a quick finish as well. 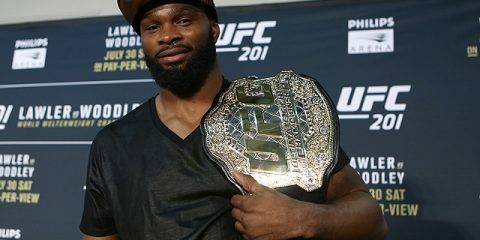 Curry’s strength and relentless combination of wrestling and ground-and-pound will probably prove too much for Barnes. This could end up going down as the third submission loss on the Bellator veteran’s resume. It seems like so long ago when Deep Jewels was the top of the women’s MMA mountain. Invicta FC has definitely stolen the crown from the Japanese organization, and the remaining fighters in the Land of the Rising Sun have splintered across a number of promotions, leaving the 17th Deep Jewels event with only a handful of intriguing match-ups. At the top of the list, there’s the atomweight showdown between Kanna Asakura and Saori Ishioka. 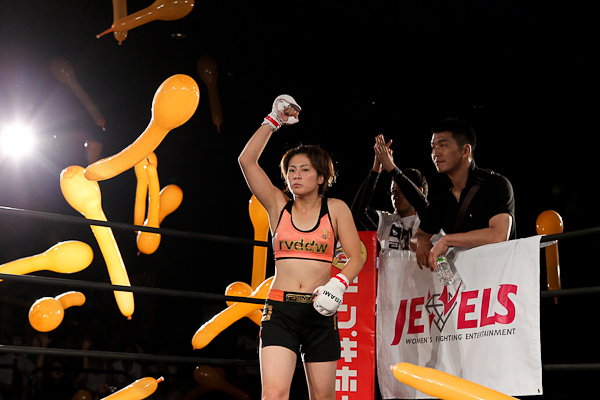 The 19-year-old Asakura is viewed as a promising atomweight up-and-comer. 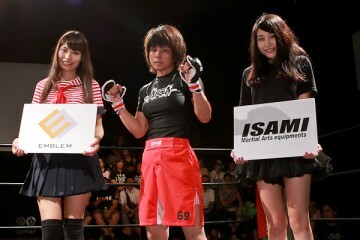 The Paraestra Matsudo fighter debuted as a pro just a week shy of her 17th birthday in 2014. She defeated rookies in her first two bouts before taking a unanimous nod over veteran competitor Yasuko Tamada in her third outing. Syuri Kondo, another rookie to the pro ranks, ended up handing Asakura her first pro loss by way of decision. The teenager responded with two more wins over inexperienced competition before dropping a decision to Alyssa Garcia at Rizin’s 2016 end-of-year event. Asakura has added two more wins, once more against inexperienced foes, and fought to a majority draw in a grappling bout with Mika Nagano. The 29-year-old Ishioka lands at the opposite end of the spectrum with 25 pro bouts. The “Shooting Star” has claimed wins over the aforementioned Nagano, Sally Krumdiack, Celina Haga, Tomomi Sunaba and Satomi Takano. She’s suffered defeat against such notables as Kyoko Takabayashi, Mei Yamaguchi, Seo Hee Ham (three times), Megumi Fujii, Rena Kubota (in a shootboxing match), Yuka Tsuji, Emi Tomimatsu and Mina Kurobe. The Zendokai Koganei product has nine submission wins and one technical knockout. She has a background that includes judo and karate. With her lengthy record, it’s hard to believe Ishioka is just 29 years old. While she has struggled to find consistency, it’s largely attributable to her steady diet of veteran and elite competition. Asakura, on the other hand, has been fed a steady stream of rookies and inexperienced “tomato cans.” The teen’s victory over Tamada is her one notable achievement. Remove that single win from her record, and it’s hardly an eye-catching slate of fights. Asakura has demonstrated her ability to land the upset in the past, but she also fell to an 0-0 Kondo and a 1-2 Garcia. Ishioka is a far superior fighter who is still in the prime of her career. The veteran fighter will hunt for a submission finish, but, worst case, she’ll settle for the decision nod over her young rival. 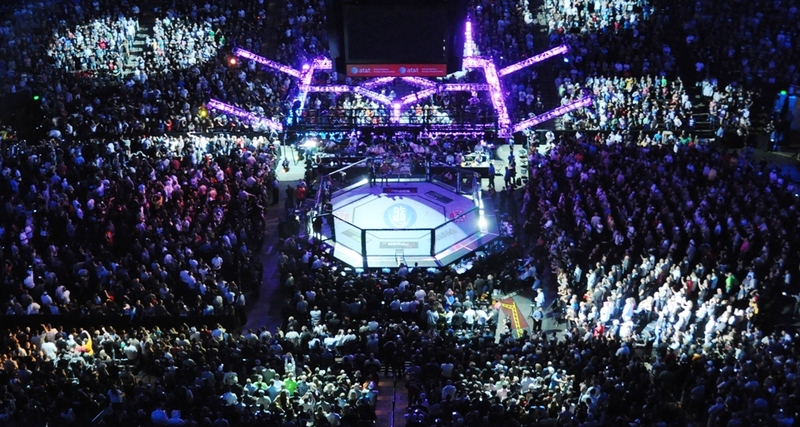 Grozny, Russia, is turning into an unlikely hotbed for professional MMA. The latest evidence comes in the form of Akhmat Fight Show’s World Fighting Championship Akhmat 41. The card isn’t quite as stacked as some other offerings we’ve seen recently in Grozny, but it does feature Bellator featherweight tournament winner Frodo Khasbulaev and Akhmat mainstay Dzhihad Ynunsov. Khasbulaev’s Bellator tourney win came way back in 2013 when he ran through Fabricio Guerreiro, Marlon Sandro and Mike Richman to take home the tournament crown. 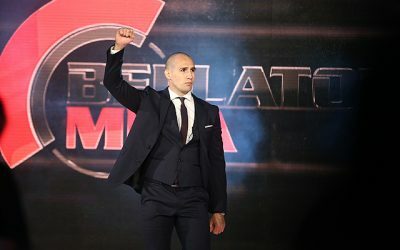 The RusFighters export has been absent from the major promotions ever since that Bellator stint, which included two wins prior to his entry in the tournament. The 30-year-old has been busy, though. He’s compiled a 5-2 record since his departure from Bellator. His losses in this span came to Eduard Vartanyan and Salman Zhamaldaev, two fellow established regional prospects. Meanwhile, he scored notable victories over Antônio Magno Pereira, recent UFC addition Kurt Holobaugh, Fernando Vieira and Genair da Silva. 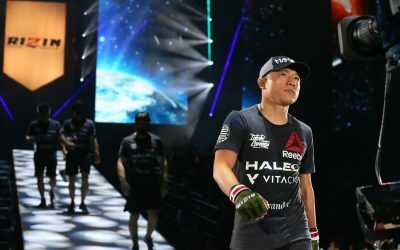 His previous losses came against the likes of UFC fighter Rashid Magomedov, David Khachatryan, Shamil Zavurov, Ivan Buchinger and Bellator fighter Daniel Weichel. He is an international master of sports in sambo. Grozny’s own Yunusov has been fighting professionally since 2011. He won his first four fights, but he was submitted in his next three outings. The Akhmat Fight Club competitor has since rebounded with an outstanding nine straight victories. His opposition does not include any significant names outside of grizzled veteran Paata Robakidze, whom Yunusov stopped with strikes in the second round of his most recent contest. Yunusov has four submission wins and one doctor’s stoppage TKO on his resume, but he’s also susceptible to the submission, which has accounted for all three of his losses. 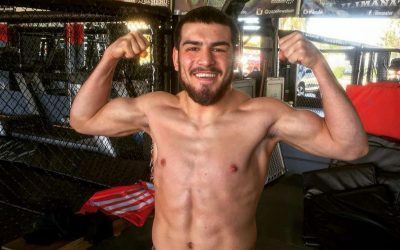 Khasbulaev tends to disappoint just when it looks like he’s finding his rhythm. 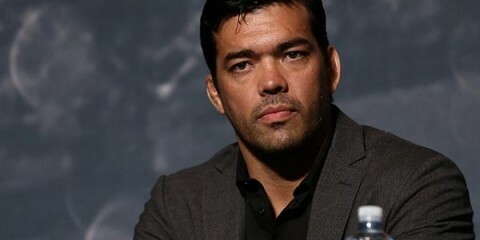 However, he’s registered 13 submissions and eight knockouts in his lengthy career. Yunusov’s past mistakes in the grappling department cost him dearly, and Khasbulaev is just the man to school Yunusov in the grappling arts. This should be an easy submission win for the Bellator veteran.